(written by Jen; approved by Ian) Writing this, it's cold, dark and bleary (and editing this, it has just snowed over 2 feet). It's January in the U.S.; even the warmer parts of the States are not impervious to January's chill and short days. It's the perfect time to plan that getaway, short or long, to a warmer climate. Or, if you are like Ian and me, it's the perfect time to get to a snow- covered mountain for some fun on fat sticks. Though the allure of the Caribbean islands is obvious--warm weather and turquoise water, we don't usually hold it high on places to visit. This past November, however, we decided to take a trip to Aruba with family for the Thanksgiving holiday and learned that Aruba is much more than just warm weather and turquoise water if you want it to be. Aruba is really good Italian food, long walks on the beach, off-roading in a Jeep, a mixing pot of cultures, varied wildlife, extreme kite surfing, a donkey sanctuary, a continual breeze to keep the heat at bay, late-night gambling, massages by the sea, dancing until dawn, yoga on the water, and a golf course where it's guaranteed you will have your longest drive ever (and your shortest). 1. Gianni's. Where we discovered one of our all time favorite Italian dishes. During our 5 night stay, we ate at Gianni's in Palm Beach twice. It's that good (and if I had been allowed, I would have eaten there every night). Both times, we ate the same thing--the most amazing, yet simple, spaghetti dish -- Spaghetti al Formaggio Parmiggiano. It's made in a large wheel of parmiggiano with tomato and basil, and a flame of whiskey. It is divine. If I could, I would eat it right now and again tomorrow and the next. 2. The Donkey Sanctuary. A visit to the donkey sanctuary is a must for all animal lovers. Donkeys were brought to Aruba over 500 years ago as the primary mode of transportation. But with modern transportation readily available, the donkeys were no longer needed, and donkeys became "wild" on the island. Illness and accidents with cars created a need for a sanctuary for the donkeys. The sanctuary treats and cares for this population, bringing them to the sanctuary to be cared for and fed. They are a docile bunch, and you can roam among them, petting and interacting with the donkeys. For a five dollar donation, you can buy a bag of feed, and they take it gently from your palm. Admittance to the sanctuary is free, but given the wonderful experience this sanctuary provides for the donkeys and its visitors, you will happily leave a donation on your way out. 3. The Warm Turquoise Waters. This needs no explanation. 4. Jeep Off-Roading. 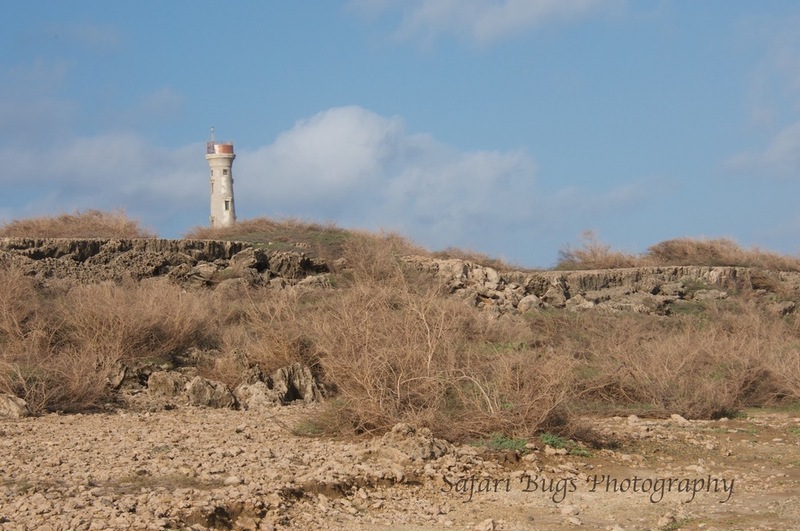 I understood that we were renting a Jeep to go around the island, but what I didn't understand was that "around the island" meant unmarked dirt and rock roads, and when we hit the Arikok National Park, it meant rock roads up the side of a mountain. It was equally terrifying and awesome. And when we return to Aruba, I want to do it twice; it's that much fun. Plus, the view (No. 6) is amazing. It's a long day, but you can rent a Jeep to see the major sites hitting the lighthouse (No. 8), riding off road along the secluded beach coast line up through the hills of Aruba to the Donkey Sanctuary (No. 2) and into the National Park for a rugged drive to see natural rock formations and caves. 5. Iquanas. These mini-dinosaurs seem to come in all shapes and sizes, and as the sun warms up, they come out of the mangroves to find food. The Ritz Carlton, where we stayed, made it easy for them, leaving out some greens. Some of the larger more adventurous iguanas even patrolled the outdoor restaurant for some handouts. 6. The Rugged Coastline. Much of Aruba's coastline is not soft smooth beaches (No. 3) but rocky coastline with private alcoves and rough waves that are easy to get lost in for hours. 7. Friendly Roadside Goat. Driving the Jeep to see the donkeys, we came across a couple of roadside goats, with collars (the domesticated type as opposed to the wild goats on Aruba). We stopped the car to give them a quick look, and they ignored us. When Ian said to one of them: "¿dónde están los burros" (where are the donkeys), he came over to the Jeep, put his hooves on the car door, and put his friendly head in the vehicle. Apparently, this goat spoke Spanish. 8. The Lighthouse. The California Lighthouse, named after the steamship California which was wrecked nearby in 1891, is a good place to start your Jeep off-roading day and a popular place for runners and walkers to go from the high-rise hotels. At the lighthouse is an Italian restaurant, La Trattoria el Faro Blanco, with expansive views of the ocean and coastline. We stopped for lunch, but it is probably also a great place for an evening drink as the sun sets. 9. The Wind. I don't like to be too hot, and the consistent winds of Aruba make certain that you are never too hot. The winds also make for world-class (apparently) kite surfing. We did not try this; if I had, I can only imagine that I would have flown out to the middle of the ocean. According to Ian, these strong winds can make for a challenging golf match, and if it's blowing the right way, your longest drive ever. 10. The Pelicans. This may only be a Jen favorite. I have a particular affinity for these funny looking birds, and we had a close encounter on the beach during our walk from the lighthouse. Possibly the best thing about Aruba is it's a great place to spend time with family. There's so much to do that everyone should be happy (as the license plates promise) avoiding the normal family squabbles. If you have a brother who is obsessed with Jeep Wranglers, well then Steve can spend all day driving one around the island taking staged photos of going through puddles at high speeds (and being dumb enough to keep the top open so that he gets soaked). If your mom gets great enjoyment from putting coins in machines from which you never get anything in return other than a free drink, well Aruba has casinos in the hotels open at all hours. If your husband has trouble understanding what to do with himself when it's warm and sunny other than to golf, there is an eighteen-hole course where Ian can fuel his dreams of the PGA tour by hitting balls with his back to the wind. If your stepdad worships the sun god and demands time relaxing by the pool and the sea, it is really easy to please Ray in Aruba. If your sister-in-law prefers to explore the lesser known parts of the island than to sit by the pool, it's a good thing Steve rented that Jeep because Ashleigh can spend days exploring the nooks of this island. And, if you are like me and like a bit of everything, you may need to book a longer vacation to fit it all in. **FYI - My brother, Steve (who I hope joins us with Ashleigh on our next trip to Aruba), provided editorial support, i.e., finding my numerous typos. And, of course, Ian provided invaluable content for this blog and is my favorite travel companion in life!